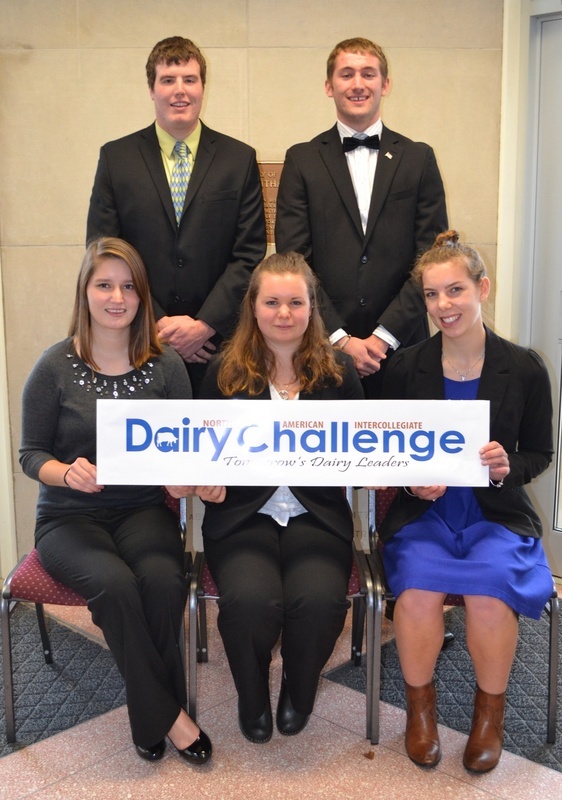 Participants, sponsors and planning committee members of the 2013 Northeast Regional Dairy Challenge. Taylor Merry (left) of Alfred State College and Brigham Reese (right) of Vermont Technical College review all areas of Rovers Farm including the facilities. Cow comfort is one of many areas assess by Dairy Challenge teams. Noah Ives (left) of SUNY Cobleskill and Rocco Cunningham (right) of Cornell University measure stalls at Rusty Creek Farm in Chazy, NY. A group of students asks questions to Lance Rovers (far right) of Rovers Farm in Chazy, NY. Students on Shur-Gain USA, Inc. team earned first place and Don Rogers honors. Front row (left to right): Laura Bond, The Ohio State University-ATI; Elizabeth Remick, University of Vermont; Vanessa Robinson, University of Guelph; back row: Eric Carey, Cornell University; Grady Ballard, Morrisville State College.